Science lovers can chill out under the stars and see the best flicks from the 2018 International Science Film Festival. Scinema will be on the outdoor big screen at Casuarina Secondary College (CSC) to celebrate National Science Week. CSC senior science teacher Peter Ramsay says there will be a diverse mix of flicks for movie-goers. “We’ve chosen to screen the Best of Scinema which is all the winners from the different categories of the film festival – some are short animations, and some are sections of the longer feature films,” he says. Ramsay says he hopes to share how exciting and dynamic the science field is with the wider community and younger people who may be thinking about their future. “We wanted to promote science in the community,” he says. “Science can be interesting and creative – it’s not just about people in white coats in laboratories. 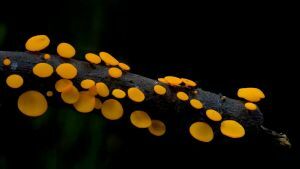 Among the films on the bill is The Kingdom – How Fungi Made Our World, which won Best Picture. The Best Short Film winner iRONY explores the relationship between humans and technology, told from the perspective of a phone.